You have a fantastic job, some money in the bank and you think life right now is just grand. You also don’t think that you need a financial planner as long as life is going so smoothly. In fact, should your finances start to fade, all you would do is ask your friend, who happens to know a little about money, what to do. 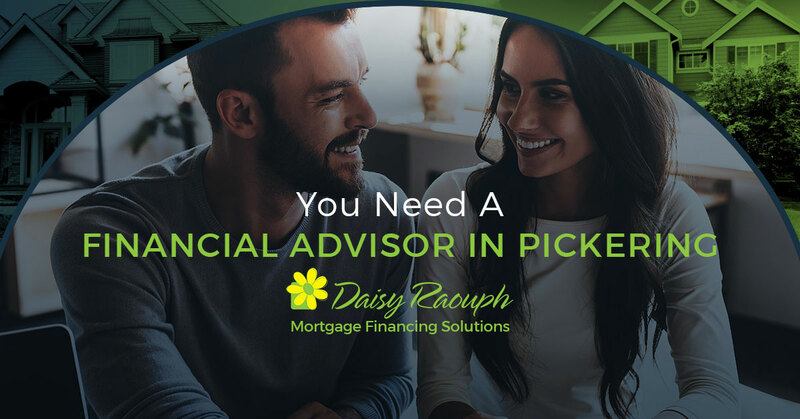 It’s pretty obvious that you don’t know what Daisy Raouph, your financial advisor in Pickering can do for you at this very juncture of your life. You are not alone, most Canadians have never met with a financial advisor or even used an online financial planning tool. But maybe that should change. Here are a few reasons why it makes perfect sense to set up an appointment with a financial planner. You plan your vacation, you make a plan when you move and you plan when having a baby so it makes sense to have a plan for your money. And few people ever do this on their own. Without a doubt, you have certain goals you want to reach in life and these include financial goals. A solid financial future starts right now and you will find this out when you first meet with your financial advisor. Your conversation will include topics like making a game plan for retirement, how much money will you need to support your goal lifestyle and what kind of house would you want to live in down the road. Plus, there are moments in life when you get caught up in other things, like having a baby, getting a new job or moving and you forget about your finances. These are times you will be glad you have a financial advisor. Like we just stated; there are some pretty big moments that will happen in your life and you will need to be focused on them and not your finances. In addition, the emotions you will feel when dealing with some of these issues can cause you to make some bad financial decisions. You might be the type of person who would double down on a bet while holding a pair of threes. If this is the case, then in no way should you be gambling your hard-earned money. You need to leave that to the capable hands of a financial advisor. Making avoidable mistakes managing your money is a situation you really don’t want to be in. You might be in your late 40s and learn that you will soon be a parent again. Of course, this was not at all planned. In fact, it was rather a huge surprise. If you have a financial planner, the shock of this news is a little less because you know you are in good financial shape. But it’s still a shock. So go ahead and contact Daisy Raouph Mortgage Financing Solutions and set up an appointment.